Enterprise House in Carlow has been announced as the latest participant of Vodafone and SIRO’s national Gigabit Hub Initiative, which offers a 1 Gigabit broadband connection to qualifying business hubs free of charge for two years. 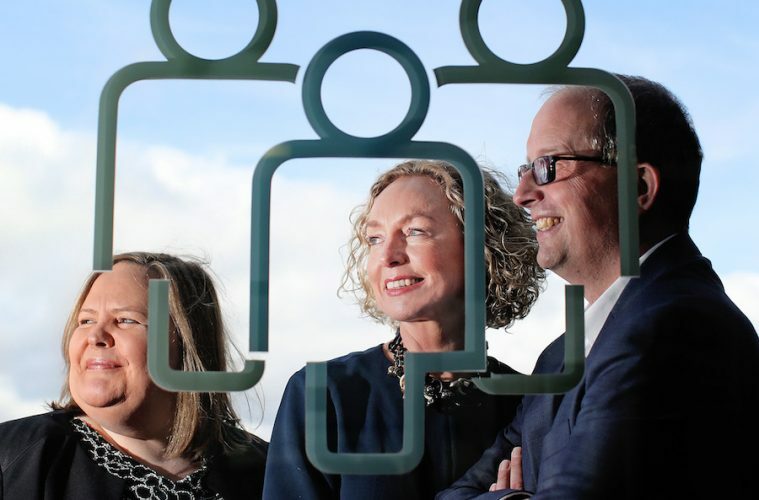 Vodafone and SIRO designed the initiative to spark a digital transformation in towns across Ireland and encourage job and economic growth in regional towns. One year on from its launch, the initiative has supported business and enterprise hubs to attract new companies and encourage people to relocate to communities and towns around the country. The five hubs that have received gigabit connectivity to date have expanded with 29 new companies moving to their premises, with an additional 80 people on site. The six hubs, including Carlow, are now planning further expansion, with an extra 200 jobs targeted over the next three years. As the sixth hub to receive the award, Enterprise House joins the Ludgate Hub (Skibbereen), Tralee HQ (Tralee), Dundalk RDC (Dundalk IT) and The Mill (Drogheda) and Cavan Innovation & Technology Centre (Cavan), which have all been connected to the SIRO 100% fibre-optic network. Currently supporting 20 businesses and 93 people on site, Enterprise House targets start-ups and growing enterprises in Carlow with the aim of fostering entrepreneurship and developing economic activity in the Carlow area. The new 1 Gigabit broadband connection, provided as part of this initiative, will help broaden Enterprise House’s appeal to entrepreneurs and companies looking to locate their company outside of the major cities, and for professionals to work remotely or commute from the town. In addition, average residential rents in Carlow are €713 per month, 31% cheaper than the national average and average house prices stand approximately €66,000 cheaper than national rates. This highlights the significant benefits to workers choosing Carlow as a place to work. SIRO has already passed 6,000 homes and businesses in Carlow to date, with construction continuing in the town. Using the existing ESB network, SIRO is delivered through fibre optic cables which run alongside existing electricity connections, all the way to the building. This technology, known as fibre to the home (FTTH), has no copper connections at any point to slow down the network and delivers 1 Gigabit download and upload speeds. For context, when downloading a high definition film (4 Gigabytes) with a 10 Mbps connection, the download time is an hour – with SIRO it takes approximately 30 seconds. Services powered by SIRO are already live or under construction in 35 towns across the country, with eight retailers offering connections to over 150,000 homes and businesses. Next ArticleHacking the Manufacturing Industry: how can we mitigate risks against critical infrastructure systems?